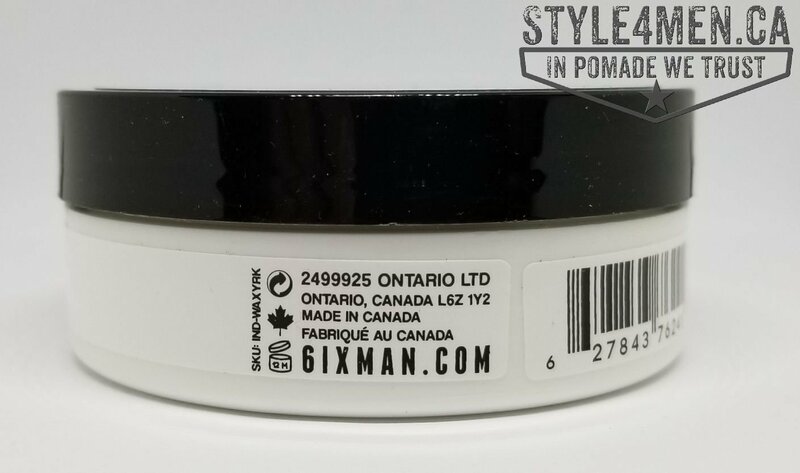 A while back I came across a cool Canadian brand called: 6IX MAN. They make a number of products that fit in our specific area of interest : hair stylers, beard care as well as a number of moisturizers. Basically everything we love! Between other product testing-exploration it ended up taking me a number of months to get back to the 6IX MAN product line. Then they had a 50% sale including their latest Wonder Wax. This was the moment I had been waiting for and placed my order. Sadly, I was notified a few weeks after the fact that they were encountering production issues and that the shipment would be delayed. Being perfect Gentlemen they also refunded everybody who had ordered this product to make up for the shipping delays. Then the weeks continue to pass and I forgot about this order. About 3 weeks ago, out of nowhere, the infamous Wonder Wax arrived at my door. 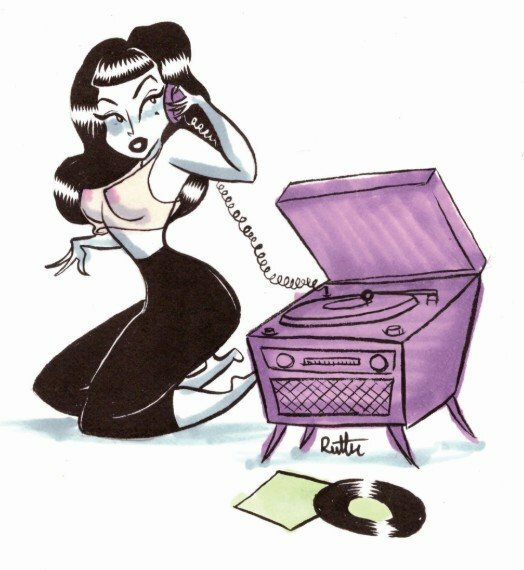 I would like to make a little detour on production issues and the resulting delays. As a customer, we might be disappointed, annoyed and maybe even irritated by the fact that we bought something and that this something is not being delivered. We can’t help but think that perhaps we were scammed. When having these dark ideas we are also losing sight of what the brand owners are going through and what might be at the source of the delays. Creating a quality consumer product is no small feat. In fact it is quite the challenge to get a product from the idea level to something that is available to the market. From my past experiences, when brand owners encountering delays it has generally been caused by events impacting or that “could” impact quality of the said product; faulty containers, incorrect pH levels and so on. Kudos to those brand owners who would rather delay shipping their products so that they can insure total quality. These delays typically also come at great cost to the brand. So here we are with the Canadian produced Wonder Wax from 6IX MAN. Up front, you should know that although the product refers to itself as a “WAX” it is in fact a pomade in the true sense of the term. The jar is simple and classic in black and white. 6IX MAN includes a simple icon and numeric based indicators for hold and shine. 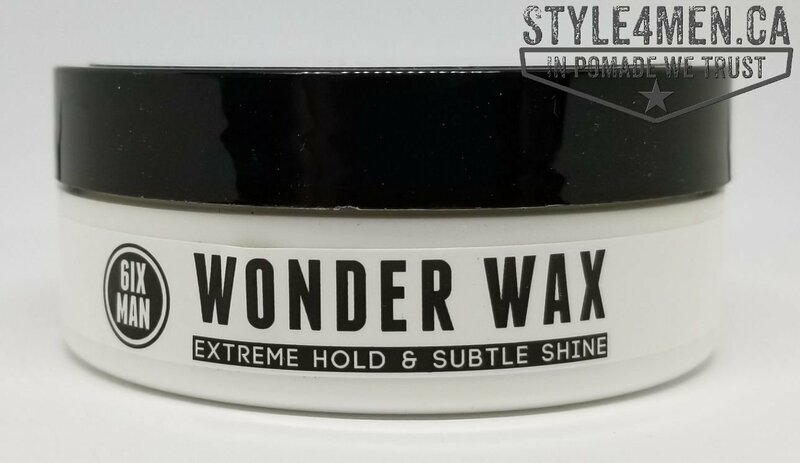 The wonder Wax is identified as having a level 5 hold and a level 2 for shine. 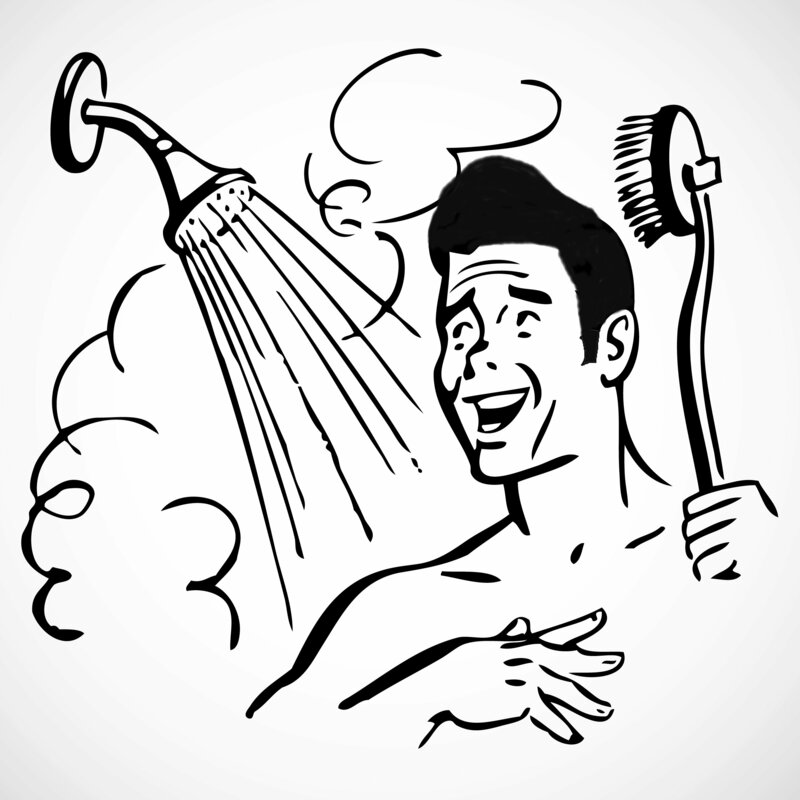 Being in the pomade game mostly for the “hold” these indicators are exactly what I am looking for. The jar shape is very flat giving it a slightly different look than the common jar that most pomade makers are using. The jar being at 90 gr, you are getting a proper amount of product to last you. Upon opening the jar you are presented with an opaque/clear jelly like pomade. The fragrance is a manly musk scent. Pleasant! I had no negative comments from our asthmatic Mrs. Style4men. You should be aware that I found the fragrance to be strong enough that it would be overkill to also wear cologne. The pomade is smooth and easy to scope out as well as to spread in the palms. Application in the hair is just as simple. Remember to cover everything. Front to back. Back to front and the same thing from side to side. Then comb that mess into your favorite style. For me it was my usual pomp. And damn, that was good. 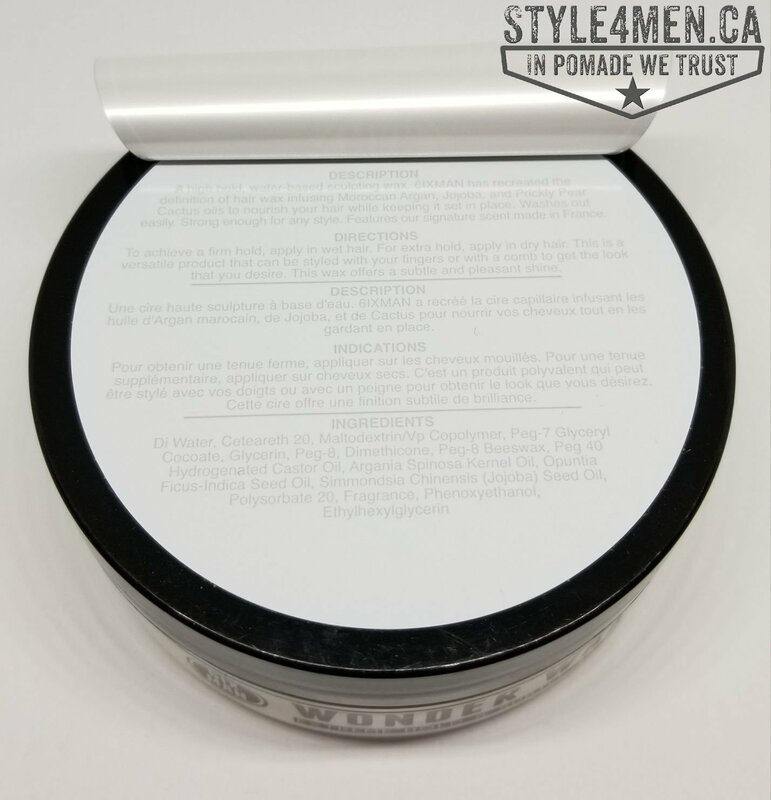 At first when I scoped out the pomade I feared that it might not offer enough hold because it was so smooth. Nope! This stuff works. My style was secured in place and locked in as the pomade dried over the course of the next 20 minutes or so. No crunchy feeling. Actually, quite nice to the touch considering the proper hold. When looking at the ingredient list, I was pleased to see a number of the supporting hair care rock stars: castor, jojoba and arginia oils. 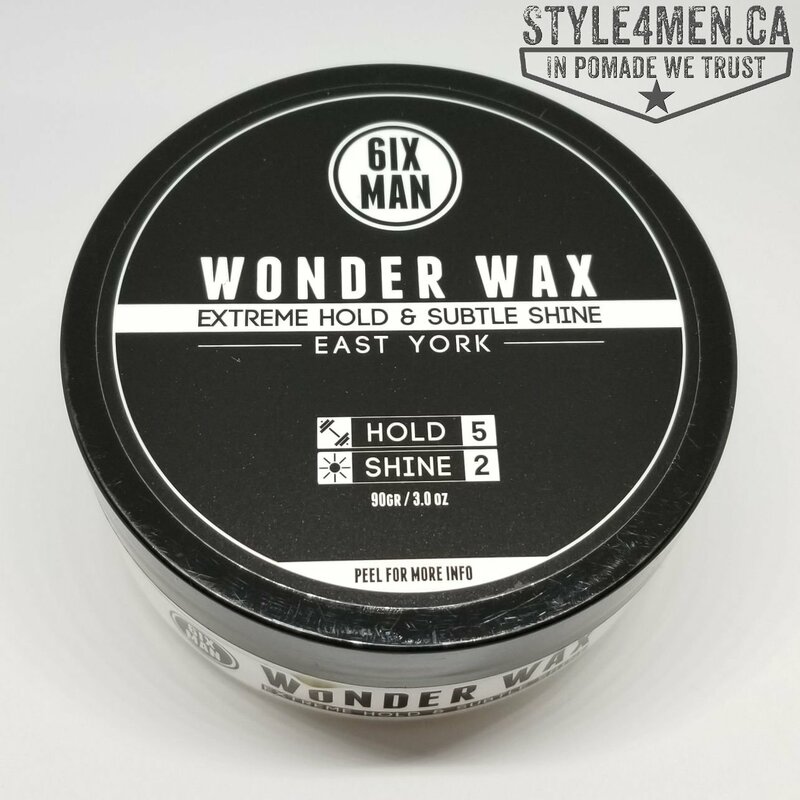 In closing, this Wonder Wax from the folks at 6IX MAN is a wonderful find and starts our 2019 review year with a winning product. Based on this positive experience, 6IX MAN is a brand I want to explore further.